The way your blog looks is arguably just as important as the quality of your posts. First impressions count, and an attractive home page can be the difference between a visitor who stays and a visitor who leaves. After all, we’ve all stumbled across 90s style templates with colourful flashing fonts and scrolling images, and the immediate instinct is usually to click away. Ok, so the 90s style horror story is an extreme example, but with so many blogs out there using the same free templates, you need to make yours stand out. 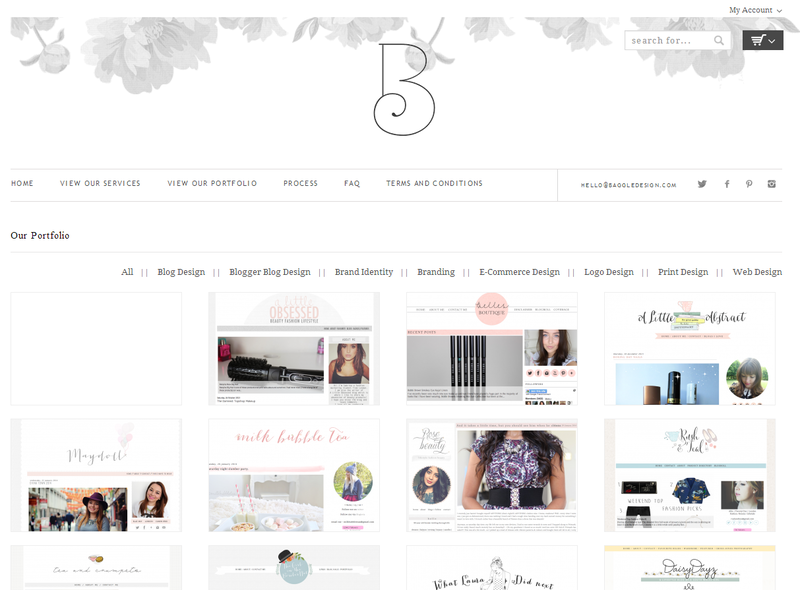 Paying a designer to create a custom design can really give your blog the edge it needs. It also means that the design can be crafted to perfectly suit your personality. If you’re looking for a minimalist design, in a palette of black and white, with clean lines and minimal fuss, then Pipdig could be the designer for you. This is a great choice if you want your great content to speak for itself, and is particularly effective for photo based blogs. The site offers pre-made, semi-custom and custom designs for Blogger or self-hosted WordPress blogs. Custom designs are quite pricey, starting from £395, but this does include a good range of features. 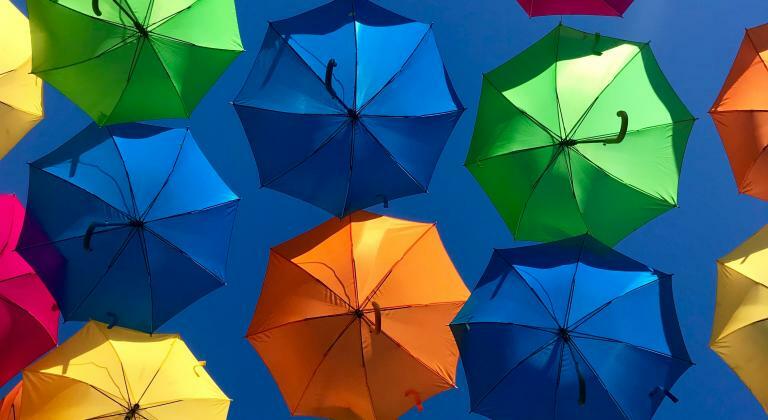 A great idea is the no obligation ‘wish list’, which allows you to fill in a form detailing exactly what you’d like from your blog design, from overall style to colours and layout. If you’re not quite ready to take the plunge, the pre-made templates are very reasonably priced and start from £29. No one does super-pretty designs, with delicate swirly writing and pastel colours, better than Baggle. The creations are particular popular with fashion and beauty blogs. Many of the designs feature intricate pencil-style sketches – Ugly Face of Beauty’s header with a skull wearing a flower garland, is particularly striking. The site offers a number of services including Blogger and self-hosted WordPress blog designs. 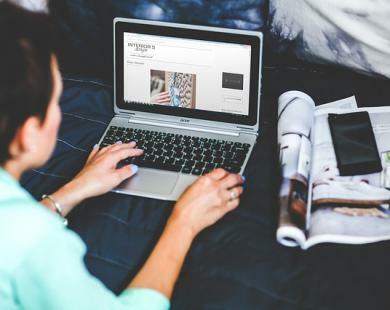 Blogger designs come in three packages, with simplified, standard and advanced, with only one package available for WordPress – the top price for both is a very reasonable. 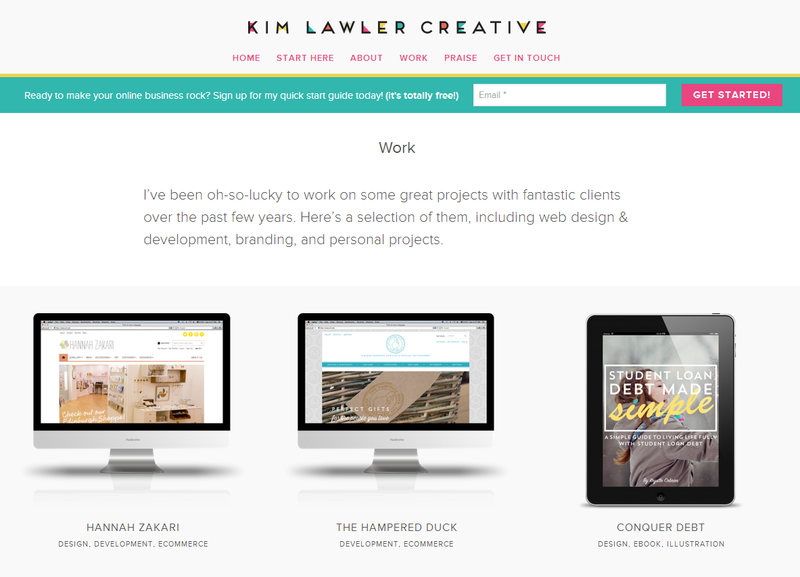 The talented Kim Lawler offers a range of services from web design to help with social media. However, she also offers blog design and development, and has an array of brilliant past projects. Designs are varied, showing that Kim can turn her hand to a number of different styles and themes. 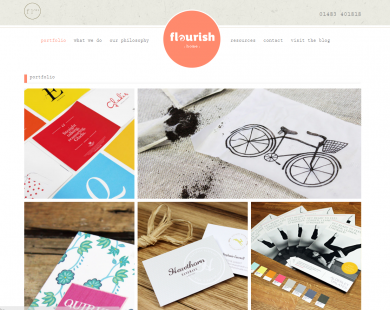 Where she really shines is in her more colourful, playful creations such as the site Dyfal Donc. As far as blogs go, Kim only works on self-hosted WordPress platforms and it’s not cheap, with prices starting at £1350 – but that includes design and development – plus, her creative business was featured in Vogue, so you know she knows what she’s doing when it comes to asthetics. 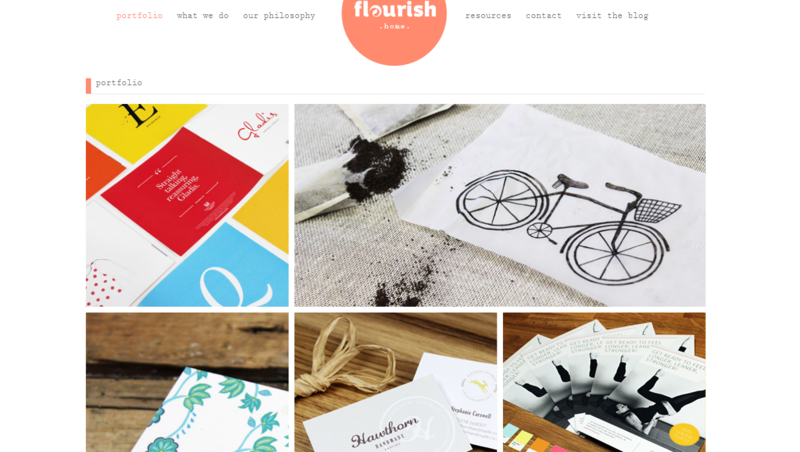 Flourish has an incredibly well-designed site, with elements of fun at every turn (hovering over the menu reveals a variety of hats!). The slickness of their own site is representative of their blog design services, and they have an impressive portfolio of creations. Their major selling point is how seriously they take understanding each individual brand, with every project in their portfolio supported by a vision board. 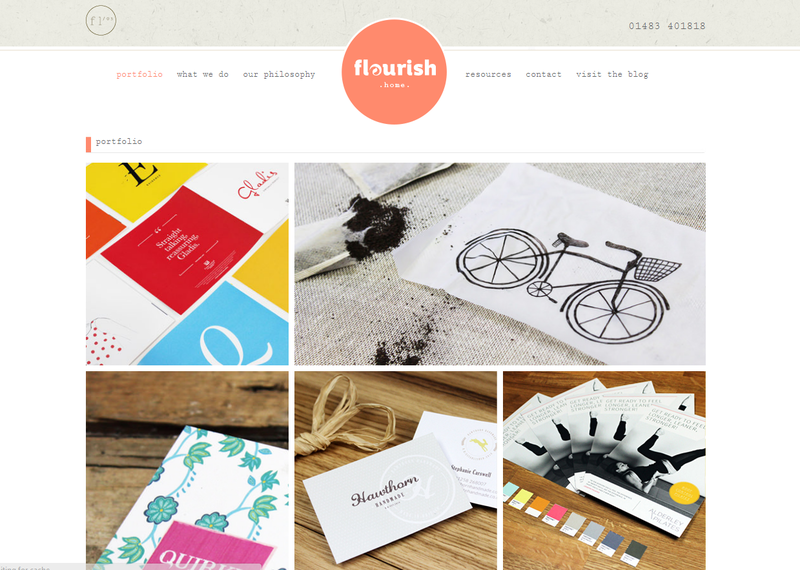 Amongst others, they are behind the design of popular lifestyle blog Cider with Rosie. You will need to contact them for pricing information. 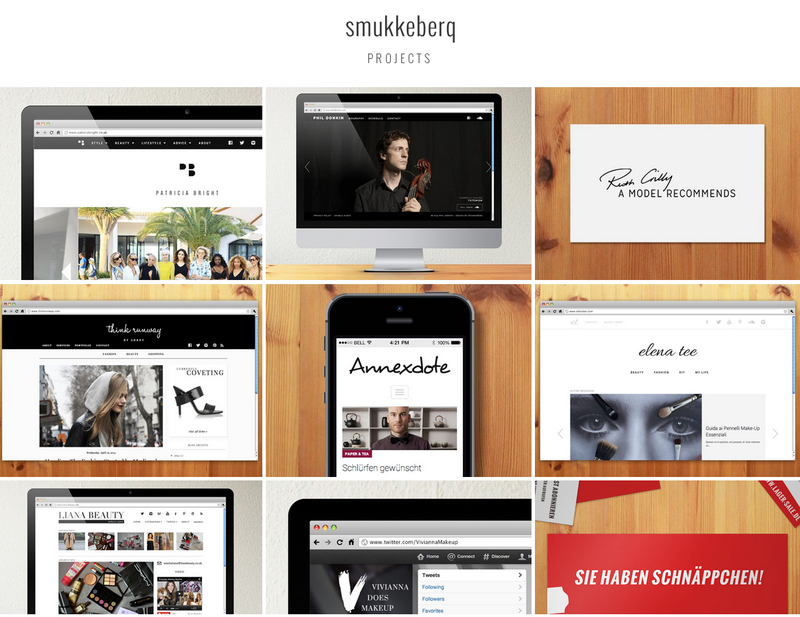 Web designer and developer Jay is the man behind Smukkeberq Projects. 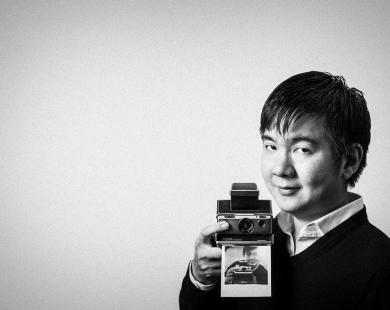 He creates sleek modern designs, in a largely black and white palate, which work especially well with fashion and beauty blogs. He’s also a particularly talented logo designer, and his simplistic approach could easily stand up against those of big brands. Jay has worked on some hugely popular fashion and beauty blogs including Vivianna Does Makeup and A Model Recommends. 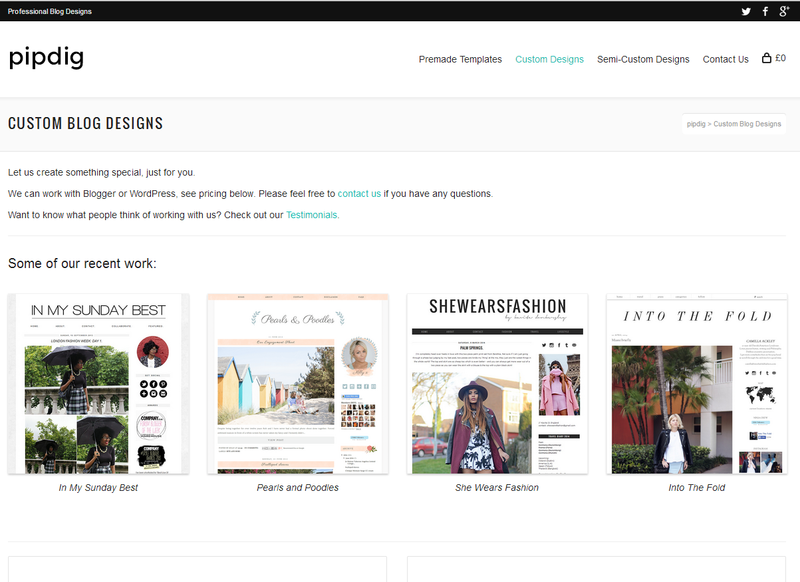 If you’re on a budget he also offers templates for Blogger for around £50. If you want your blog to stand out against its competitors, buying a custom design can really make a difference. Alternatively, if you are on a budget, these designer’s templates can help you get the look for less. Did you use one of these designers for your blog? Let us know in the comments! how much would a daily news website cost? Aprenda como estruturar seu projeto de negócios.